For most of us, the third Thursday of November is just another chilly autumn day a couple of weeks before the holiday season kicks in. But for many wine lovers in France and around the globe, that day marks the celebration of the release of a wine ‘delicacy’ known to divide wine connoisseurs. 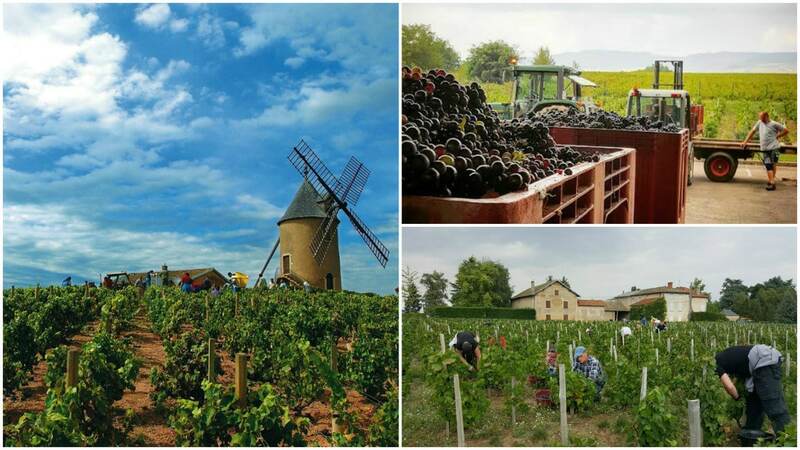 At one minute past midnight, over one million cases of Beaujolais Nouveau begin their journey from the Beaujolais region through the sleeping French countryside to Paris for their immediate shipment all over the globe. Banners proclaim the news: “Le Beaujolais Nouveau est arrivé!” (The New Beaujolais has arrived!) and with that one of the most vibrant rituals of the wine world kicks off. The region of Beaujolais lies just north of France’s third largest city, Lyon, and is home to nearly 4000 grape growers. All grapes in the region must be picked by hand, similarly to Champagne; hand harvesting is only mandatory in these two regions in France. There is only one grape that is permitted for Beaujolais Nouveau and that is the ‘Gamay noir Jus Blanc’. This wine can only be made from grapes originating from the regions of Beaujolais and Beaujolais-Villages. The process to produce Beaujolais Nouveau is called the ‘carbonic maceration‘ (or ‘whole berry fermentation’) and it creates a fresh, fruity flavour in the wine without extracting the bitter tannins from the grape skin. 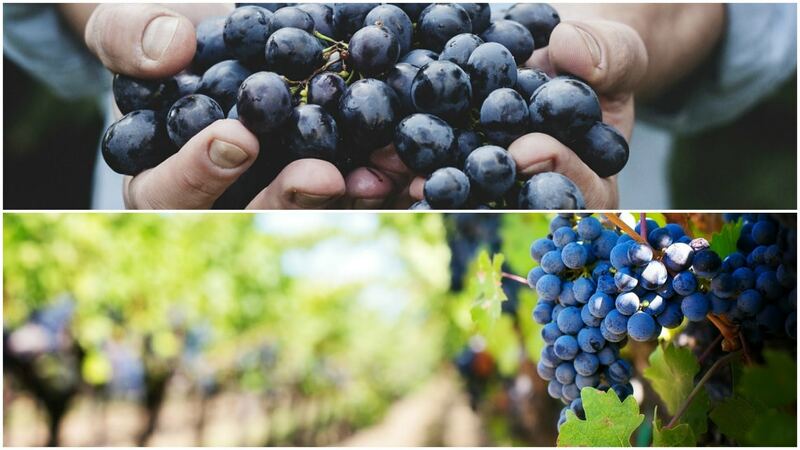 During the process whole grapes are fermented in a carbon dioxide-rich environment prior to crushing, and most of the juices are fermented while still inside the grape. It doesn’t take more than six to eight weeks from harvest to release: expeditious harvest, rapid fermentation and speedy bottling are all done in a matter of weeks. The Beaujolais Nouveau is a wine that is meant to be enjoyed young. It is advised to consume it by the following May after the release (Beaujolais Primeur); however for excellent vintages (e.g. 2000) the wine can be enjoyed until the next harvest (Beaujolais Nouveau). It’s best to serve it at 12-13C (55F) as the refreshing and fruity flavour is more apparent than at room temperature. The ‘release’ of the Beaujolais Nouveau began about a century ago as a local phenomenon in bars, cafes, and restaurants of Beaujolais and Lyon. Each autumn the new Beaujolais would arrive with heightened anticipation – once released pitchers were filled from the growers barrels directly and it was consumed by the eager population in bars and bistros across the region. Eventually, however, the government stepped in to control the sale of this quickly transported and consumed wine: 1938 regulations were set up to control the production and the distribution. However in 1951 they were revoked by the regions governing body, the ‘Union Interprofessional des Vins de Beaujolais’ (UIVB) and the Beaujolais Nouveau was officially recognised. The official release date was set for November 15th – the Beaujolais Nouveau was born. In 1985 the release date was changed again to the third Thursday of November, tying it to the weekend to make the celebration complete. One person who contributed greatly to the marketing and promotion of the Beaujolais Nouveau is George Duboeuf, the largest négociant in the region – he is a great promoter of Beaujolais and Beaujolais Nouveau. 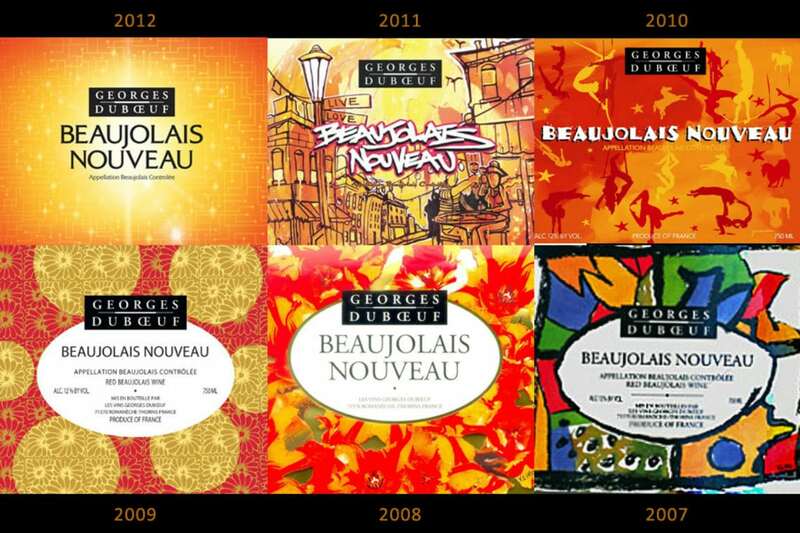 More than one-fifth of his production (about four million bottles) is Beaujolais Nouveau. In general sales have increased from approximately one million bottles to more than 70 (!!!) million worldwide in the past 45 years. There are 120 Beaujolais Nouveau related festivals in the Beaujolais region, one of the most famous of them is the Les Sarmentelles held in Beaujeu, the capital of the Beaujolais region. It is a five-day festival that kicks off in style the evening prior: visitors can take part in wine tasting, there is plenty of music, dancing, and there is a tasting contest of local delicacies. During the festivities, a torch parade honours the winemakers and the inevitable fireworks are set off at midnight to signal the official ‘release’ of the wine. The Beaujolais region is also famous for the fabulous cuisine such as what you would find in Paul Bocuse’s restaurant – he is one of the most prominent chefs associated with the nouvelle cuisine. Otherwise, you can opt for one of the many amazing establishments of the 3-Michelin star chef Georges Blanc – these restaurants have plenty of Beaujolais on their wine list. The Beaujolais Nouveau is as divisive in France (and amongst wine connoisseurs) as marmite in the UK. The dedicated admirers praise it for being an easy-to-drink, fruity wine, the closest a red wine will ever get to a white wine and swear that it’s a great transitional wine if you’re thinking about ditching the whites for the holidays. Ironically the ‘opponents’ of the wine have the exact same reasoning. Regardless of which side you’re on it’s great fun to know that you’re sharing this experience with thousands of people around the world in cafes, bars, bistros all at the same time… on the third Thursday of November. The best time to visit the Beaujolais region is between September and November – the colours of nature are breathtaking in these months. If you want to take part in the fun make sure to visit around the third week of November to witness the release of the latest Beaujolais Nouveau. You can either fly into Lyon (LYN) from many of the major European cities or hop on the train from Paris (see more information on the Rail Europe website). Either way you’ll need to hire a car from Lyon to reach the region. Follow the Beaujolais wine route with some inspiration from our friends at the Lonely Planet. Le Baron Rouge is amongst the 100 best bars in Paris according to Time Out. It’s a typical blue-collar bar where you can get the wine straight from the barrel or even buy a bottle for take-away. Besides the Beaujolais Nouveau they also serve amazing oysters and charcuterie. La Cave des Papilles is a dynamic and well-stocked wine shop and bar with a selection of over 1200 wines – hence it`s a great place to sample the wine along with some charcuterie and local cheese. La Recyclerie will host the Wine Republic team for a free wine tasting workshop on November 20th. On other days this is a bar/restaurant/café/vegetable garden with a welcoming vibe, located in a former railway station on Petite Ceinture. Le Garde Robe is your place if rowdy crowds and dancing bartenders are your thing. Make sure to book in advance on Friday and Saturday evenings and order their plate of lentils and grilled saucissons or their amazing cheese boards. Check out further tips and suggestions from the people who know their wines. If you fancy visiting Lyon as well check out our very own Christine’s post about this lovely city. 4 Responses to "Everything You Need to Know About Beaujolais Nouveau"
Sounds like my kind of event. I would to travel to France to partake everything Beaujolais Nouveau. I’m inspired to rush right out and sample some Beaujolais Nouveau ( and check out the dancing bartenders at Le Garde Robe)!